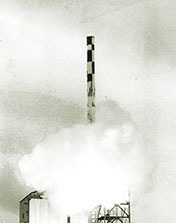 History of military and technical cooperation of JSC MIC NPO Mashinostroyenia with foreign states began in the second half of 1970-s, when the Soviet Union Government took decision about supply of mobile costal missile complexes «Redut-E» with anti ship cruise missiles P-35 to some friendly. Within 1977-1979 «Redut-E» shore based missile complexes were delivered to the Socialist Republic of Vietnam and the People's Republic of Bulgaria, and in 1983 – to the Syrian Arab Republic . One of the most important projects of NPO Mashinostroyenia in the area of military and technical cooperation was upgrading of «Redut-E» complex delivered earlier to Vietnam. Next contribution of the company into the military and technical cooperation was participation in preparation of Chakra submarine for leasing to the Republic of India. To arm this submarine by missile weapon complex, design and operation documents for export of anti-ship missiles Ametist-OP were issued within the period of 1985 -1986. 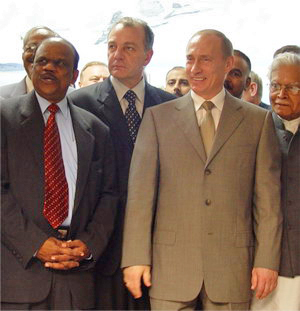 In the beginning of 1980-s the Soviet Union Government decided to render technical assistance to India in designing and building of Indian project 15 frigates. NPO Mashinostroyenia was charged with the task to develop the export version of Malakhit-15E missile complex. Taking into account a great scope of forthcoming works in this project, their urgency and responsibility to the foreign customer it was decided to make a special group of managers (chief designers) for export complexes. The required scope of work on this complex was fulfilled within the specified time. Several successful launches of Malakhit missile followed. However, from force of various circumstances, missile complex Malakhit-15E has not been delivered to India. 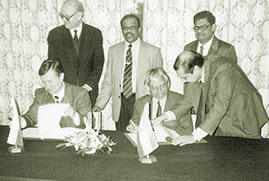 In February, 1998 the agreement between Russian and Indian governments was signed about military and technical cooperation and foundation of BrahMos joint venture, and in March, 1999 the Russian Government Decree was issued about joint development and production of missile complexes with the anti-ship missile. Considering rich experience accumulated by NPO Mashinostroyenia in military and technical cooperation with foreign countries, successful implementation of several contracts with foreign customers, availability of divisions and services responsible for military and technical cooperation in the company's structure, in 1977 the Russian government issued a directive to grant FSUE “NPO Mashinostroyenia” a right to carry out independent export operations with military products for the period of three years, i.e from that moment the company could directly, without governmental mediator, conclude contracts with foreign partners and bear full responsibility for their implementation. 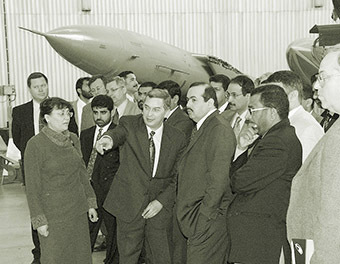 After assessment of the positive results of the company's work in the area of military and technical cooperation within 1997 - 2000, when the company had the right of independent export operations, the Russian President extended these authorities till 2007 by his decree dated 09.08.2000. Decree No. 167-od-dsp dated 20.12.2012 by the Federal Service on the Military and Technical Cooperation granted to JSC MIC NPO Mashinostroyenia the right to carry out independent export operations with military products for the next five years. In 2006 the Russian president decree granted the right to JSC MIC NPO Mashinostroyenia to carry out independent export operations with military products from the moment of its state registration. One of the areas of NPO Mashinostroyenia independent military and technical cooperation became the joint project with the Republic of Korea . In accordance with the contractual conditions signed in December, 2003, the company was implementing a substantial scope of scientific research and experiments in the interests of Korea to support development of new equipment. As time passed projects in the area of military and technical cooperation occupied continuously growing fraction in the works implemented by the company. Within only ten years starting from 1992, NPO Mashinostroyenia financing under military and technical cooperation projects rose from 15 % to 74 % of the total scope of works. 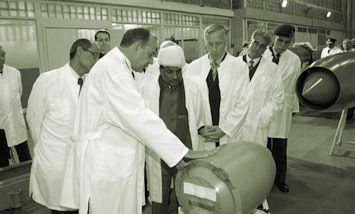 In the situation occurred in the beginning of 1990s, when the flow of governmental orders to the defense industries of the country run dry, NPO Mashinostroyenia projects with foreign partners allowed not only to maintain the creative potential of the staff, experimental and production facilities of the company, but also to do scientific research and design works for advance missile and space complex in the interests of MoD, as well as for development of export-oriented military products. Implementation of many export projects revealed the need to involve other Russian enterprises, to load our subcontractors and, in such a way, to maintain the production potential of the Russian defense industry. Especially noticeable contribution of NPO Mashinostroyenia subcontractors is made into performance of contracts with BrahMos JV. The latest developments carried out for the Russian Ministry of Defense absorbed technical solutions meeting the most strict requirements to the systems, which may be further delivered to foreign customers. Thus, on the basis of anti-ship weapon designed for the Russian Navy NPO Mashinostroyenia has developed an export version of the anti-ship missile “Yakhont”. This universal cruise missile can be deployed on various platforms: sea-based (ships and submarines), ground-based (mobile and stationary launchers) and air-borne (aircraft of various classes). It should be highlighted that development of ASMs Yakhont and BrahMos paved the way to fruitful cooperation with oversea states. In the space area the company has developed an export version of the earth remote sensing space system with Condor-E satellite. One more export-oriented project of NPO Mashinostroyenia was related to light LV Strela derived from intercontinental ballistic missile UR-100 Н U ТТХ (as per NATO classification: SS -19), which are retiring from combat service with Strategic Missile Forces. 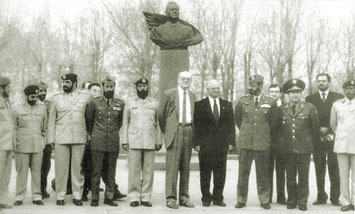 To build up the scope of military and technical cooperation of the company with foreign countries and widen its export capabilities, NPO Mashinostroyenia organizational and managerial structure engaged in these works is continuously improved, and that allows to coordinate the works better and bear full responsibility for their final results. The important step in streamlining the organizational structure was foundation of special divisions supporting export activities and marketing of products (works, services) of the company and creation favorable conditions for its delivery to foreign customers. There are many forms of marketing exercised by the company. 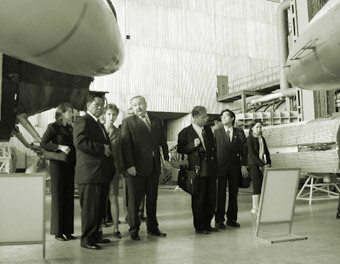 They are market analysis and generation of requirements for the company products desirable at the market, participation in the most prestigious exhibitions and aerospace shows, as well as making presentation about technical capabilities of JSC MIC NPO Mashinostroyenia products to overseas partners and active collaboration in Intergovernmental Commissions on military and technical cooperation. At the same time the list of foreign states (given in another section) cooperating with the company is still growing. The company is aggressively promoting its products in all regions of the world: Far and Middle East, South and South-East Asia, Africa, South America. In such a way, JSC MIC NPO Mashinostroyenia entry to the world market became a bright indication of the high scientific and technical level of works implemented by the company in the field of space equipment and missile development.